I am a child and adult trained psychiatric physician with a special interest in regaining our physical and mental health through nutrition and sleep. I recently celebrated 20 years of practice over a wide range of clinical settings, including military and community mental health settings and psychiatric residential treatment facilities for children, adolescents and adults. In the course of my career I’ve published a number of textbook chapters, among them ‘Nutritional Aspects of Psychiatry’ for Child and Adolescent Psychiatry: The Essentials (Cheng and Myers, 2011). Over the past 13 years I added metabolic management to my practice. My current setting is private practice in West Linn, Oregon where I sees children, adolescents and adults. I’m a Fellow of the American Psychiatric Association (FAPA), with membership in the Nutrition and Metabolism Society and The American Academy of Sleep Medicine, I evaluate and treat patients with a holistic approach to psychiatric care. 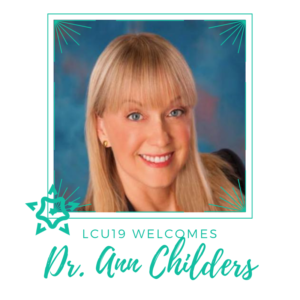 See our interview with Dr. Ann before LCU18!